Choosing the right USMLE Step 1 live prep course is the most important decision you will make on your journey towards passing. You will be spending countless hours studying, so it’s crucial to find the USMLE course that best fits your learning style and background. 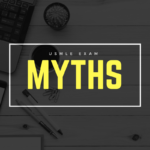 The difference between successfully passing or failing the USMLE Step 1 exam largely depends on how well your study materials prepare you for it. Using a review course that isn’t a good match for your learning style can cause you to score lower or even fail your exam, costing you months of study time and additional exam fees. CRUSH is here to make sure that doesn’t happen! Here’s the good news: we have personally researched and reviewed all the USMLE Step 1 prep courses below to make it easier for you! The comparison chart will help you decide which online course best fits your needs. Some of the links on this chart are affiliate links, meaning I get small commission (used to fund this website) when you purchase by clicking through. Don’t worry though, by using the USMLE promo codes and USMLE review course discounts you’ll get the best possible deal. 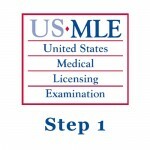 See the best On-Demand USMLE Step 1 Prep Courses here. 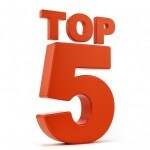 For a limited time get $500 off MedSmarter USMLE Step 1 or Step 2 CK here. Help When You Need It: There is a great team of instructors that are ready and willing to help with any question you have. Of course they will not tutor you, but if you’ve missed a key concept, you may reach out and get detailed answers in 10-20 minutes. Access: The USMLE Pass Program by Edumind includes 1 year of access. This is something that other providers have cut back on so keep an eye out when you’re comparing with other courses. It is very important to ensure you have all the time you need and so you don’t have to buy another course after yours expires. Entertaining Lectures: Francis is a teacher that knows how to motivate students. His classes will actually keep you engaged and even excited at times. Not Too Long Or Too Short: Lessons pacing is ideal, not too little, not too long. This ensures you get just enough information but overwhelmed. 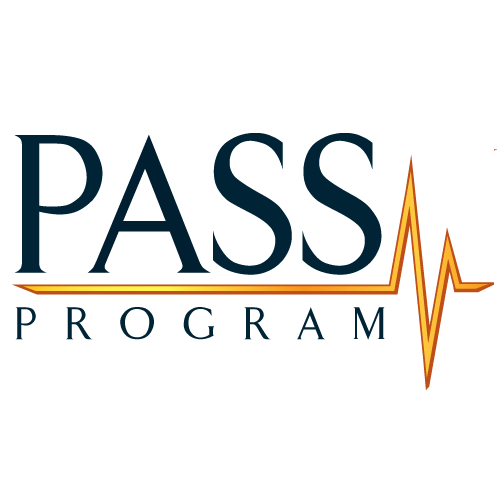 The Bottom Line: The USMLE prep course created by Pass Program has been tailored to meet the needs of students by being engaging and informative. Lessons aren’t too long or too short, and the instructors are helpful and entertaining. 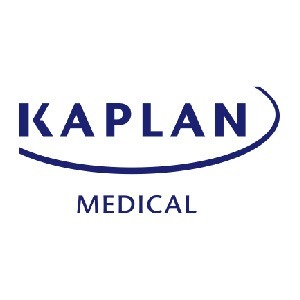 Large Question Bank and Video Collection: Kaplan Medical’s USMLE Step 1 course give students access to a large number of exam-like questions in a Qbank and include an extensive video library with 2,000+ questions. Cut hours off of your review time by watching videos at 1.5x their regular speed. The high-quality videos are informative and entertaining, making the large body of material less daunting. Diagnostic Exams, Quizzes, and Practice Exams: There are many opportunities for students to test themselves on the knowledge they must master before they sit for the exam. Diagnostic tests, shorter quizzes and full-length simulated exams give students practice and targeted feedback on their ability and performance. Mobile Friendly: All lectures can be viewed from your iPhone an Android device, making it easy to get your study hours in, no matter where you are located. The Step 1 Qbank includes a free app for you to work on practice questions and check answers as well. 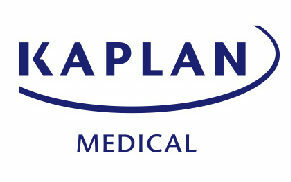 International Student Friendly: Kaplan Medical has first-rate options for International Students who are preparing to apply for a residency program in the USA. Live, Live Online and On Demand options are supplemented by immersive In Center learning opportunities and study centers with state-of-the-art facilities, computers, internet access, and helpful staff to answer questions. The Bottom Line: In addition to their vast library of practice questions, video content, and simulated exams, Kaplan offers a more convenient USMLE test prep experience with their full mobile compatibility. 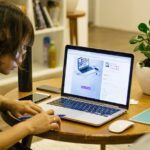 Live Instruction: While many online courses offer ridiculously expensive prep materials without any actual live instruction, this company goes the extra mile to ensure any students who want to can access a physical classroom. Although it may take some time and money to figure out transportation and lodging, this option is indispensable for some students who learn best in this way. Tutoring: In addition to a robust online and in-person educational course, students who desire additional education can pursue extra tutor hours. 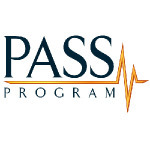 These instructors can provide valuable one-on-one education for all steps of the exam, with those studying for the Step 2 CS portion having the option of practicing with a Standardized Patient for a relatively affordable cost. International Education: Students who are outside of the United States can still take advantage of this preparation course and achieve their dreams of a rewarding career in medicine. Even if they can’t make it to the physical testing center in India, the Spoken English course can provide them with a valuable opportunity to brush up on their bedside manner. Live Online: On one hand, the live online course conducted through Skype is a great way for students to foster a personal relationship between their instructors and fellow students. However, the lack of archived lectures or separate chat rooms for discussion make for a somewhat disorganized format. Additionally, the instructors can be difficult to understand at times due to their thick accent and poor sound quality. Enroll Anytime: While other courses make you wait, MedStarter doesn’t. Continuous enrollment means that you can start the MedSmarter USMLE program at anytime. This is a huge advantage bcause you’ll have no downtime. Experienced Instructors: MedSmarter’s faculty has experienced professionals who have taught around the world including the U.S., Canada, Caribbean, Middle East, and South Asia. Their instructors hold MDs and/or PhDs, and have years of experience in preparing future physicians for the USMLE. The MedSmarter courses are for students who are interested in a more focused and individualized approach to studying for their USMLE prep. The programs can be best described as a “hybrid” of tutoring and class room learning. Classes are offered Monday thru Friday, usually from 9:30 AM t0 3:00 PM (depending on the subject/topic some classes may be longer or shorter). A typical day consists of lectures, u-world questions, and group discussions. Students are asked to subscribe to UWorld Qbank. The Step 1 and Step 2 CK courses are continuous enrollment, meaning students can enroll at any time and start classes at beginning of the next subject/topic. The Step 1 Course is 6-7 weeks and Step2 CK course is 4-5 weeks. The difference in weeks is due to accommodating for any holidays that may come up during a cycle. For Step 2 CS, the scheduling is based on the students’ needs. They ask students to enroll at least 2-3 weeks prior to wanting to attend the review program so that they may schedule the standardized patients and instructors accordingly. They also advise students to leave at least a one week gap in completion of the course and the actual exam date; to ensure time to overcome any weaknesses identified. “In my opinion MedSmarter is the way to go. Kaplan and falcon do help with content knowledge and have a lot of books and resources but that’s it. You don’t get the focused, INDIVIDUALIZED, review that is necessary for you to succeed. MedSmarter is a great prep program if you’re interested in a focused and more individualized approach to studying for your USMLE Step exams. I am a detail oriented individual with a lot of knowledge however I did not know how to focus that knowledge on exams. I often choose detailed answers when they are looking for commonly tested topics. 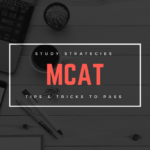 MedSmarter reviews all the details necessary to be successful on the exam, but They make sure to tell you what you need to know, and for me they were extremely helpful with test taking skills!!! I improved my score from original assessment to actual test over 25 points. I also finished blocks with 10-15 minutes left because I was confident in the answers. I picked and moved on. Even on the exam! It was crazy how well I improved and how easy the questions were after opening my eyes to how to take the test. I am forever indebted to them for helping me be successful on my step 2ck as I have graduated Med school and well on my way to securing a residency position! !